Two candidates filed for the Boulder Township justice of the peace office on Tuesday, the first day of the filing period for the June 12 primary election. Victor Miller Judge Victor Miller puts the final signatures on his filing papers to seek re-election as justice of the peace for the Boulder Township on Tuesday, the first day of the filing period for the June 12 primary. Incumbent Victor Miller is seeking re-election and is being challenged by attorney Robert D. Martin of Boulder City. “I love the opportunity to serve the residents of Boulder and wanted to be first so there was no mistaking my desire to finish all that I have started here in Boulder City’s courts,” Miller said. Because each of these are part-time judge positions, he can serve half time as justice of the peace and half time as municipal judge making him a full-time public servant to Boulder City. “It is a benefit to Boulder that I am able to do both jobs since it allows there to be a full-time judge in the courthouse able to handle the emergency matters that come in as well as the day-to-day functions of the court,” he said. Miller has been a Boulder City resident since he was 8 months old and graduated from Boulder City Junior-Senior High School in 1971. He obtained his bachelor’s degree from Brigham Young University in 1977 and his Juris Doctor from McGeorge School of Law, University of the Pacific, in 1981. 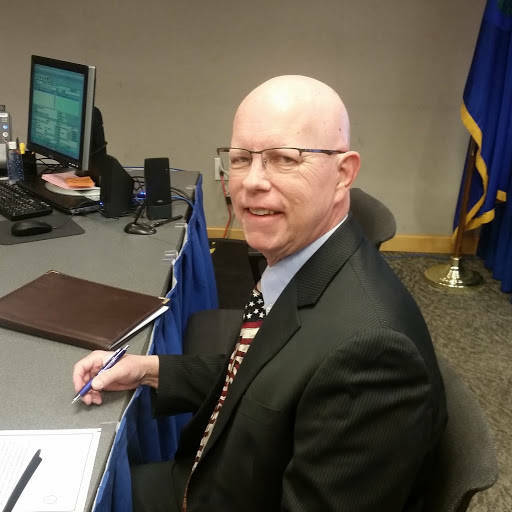 Martin, who has been a member of the State Bar of Nevada since 1984, said he believes he would be a good judge. A graduate of California Western’s School of Law in San Diego, he is a civil trial lawyer and has completed about 50 jury trials, which is a considerable number for civil cases, he said. He says his background includes an array of experiences with both civil and criminal law. “Judges can do a lot to help people,” he said of his reasons for running. Martin said he has personal experience with the criminal court involving a son and that experience left him with a dislike for the process, and something he would like to see changed. A resident of Clark County since 1970, he has lived in Boulder City for 1½ years. Candidates have until 5 p.m. Jan. 12 to file for the office. In Nevada, justice courts handle misdemeanor crime and traffic matters, small claims disputes, evictions and civil matters less than $10,000. The justices of the peace also preside over felony and gross misdemeanor arraignments and conduct preliminary hearings to determine if sufficient evidence exists to hold criminals for trial at District Court, according to the Supreme Court of Nevada. Also up for election this year will be the Boulder constable position. The ballot also will feature several national, state and county positions, including senator, representative in Congress, governor, lieutenant governor, secretary of state, state treasurer, state controller, state attorney general, state senate and assembly, county commissioner, country district attorney, county assessor, county clerk, country recorder and country treasurer. The filing period for those races opens March 5. Early voting will be held May 26 through June 8, and mail/absentee ballots must be requested by June 5.